The Journey of more than a decade in the educational arena entails a glorious saga of progressive success of K.R. Mangalam World Schools in the educational Sector. KRM as a brand, has created a niche for itself as one of the premier institutions in the educational domain, a platform conducive to meaningful education with its rich tapestry of excellence. Barely Just a half-hour drive from Delhi and Noida, surely on the path of shaping up as India’s smartest city and on the verge of becoming one of the largest industrial and education centers of the country lies one of the most premium schools of NCR. K.R. 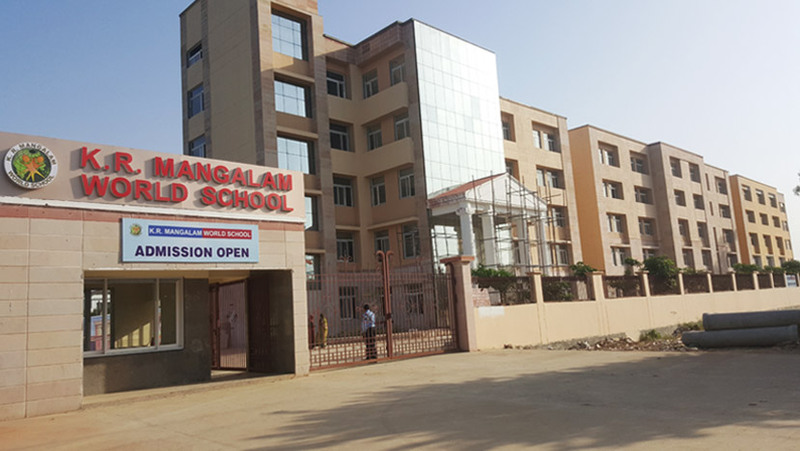 Mangalam World School, Greater Noida is situated in the serene, uncongested and pollution free environment, away from the bustle of city life. Fine blend of scholastic and co-scholastic curriculum helps 21st century learners become global children with holistic personality, strong values and modern outlook. It is our constant endeavour at K.R. Mangalam to stay abreast of latest educational trends,innovative teaching pedagogies and to further it more, academic teaching programs remain rigorous and contemporary to help us attain academic excellence. Well qualified teaching faculty with right skills and positive attitude adds to the dynamism of school culture. Adherence to global standards have become the constant need to raise the bar higher with every passing year makes KR Mangalam School as one of the best schools in Noida including Greater Noida. The Curriculum is designed in a way that fosters intellectual, moral and emotional development. Fine blend of technology and child-centric approach fosters clarity of concepts and problem solving attitude. Students are encouraged to foray for knowledge on their own by developing skills of exploration and self discovery thus making them intellectually independent and empowered. Inter-disciplinary curricula with emphasis on catering to the multidisciplinary approach facilitate in strengthening the roots and in creating a vibrant learning atmosphere for enhanced thinking and creative skills which gives students a winning edge. Emphasis on peer teaching, remedial and enrichment classes further optimize learning outcomes rank K R Mangalam among the Top Schools in Greater Noida.